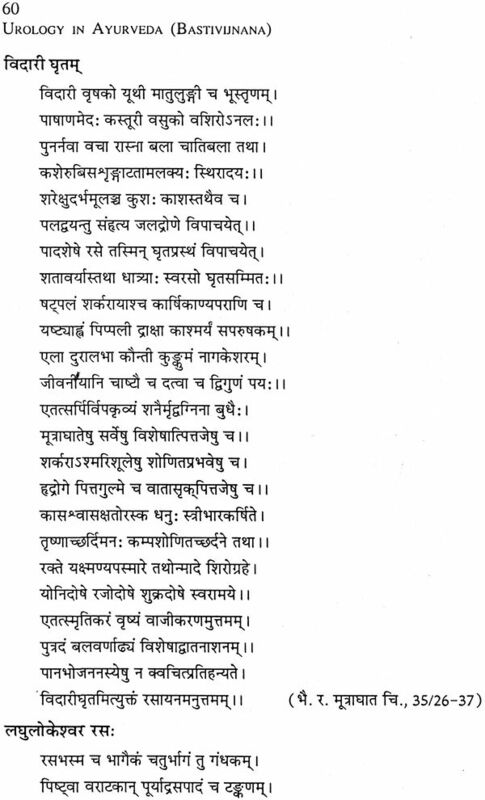 Basti, i.e. 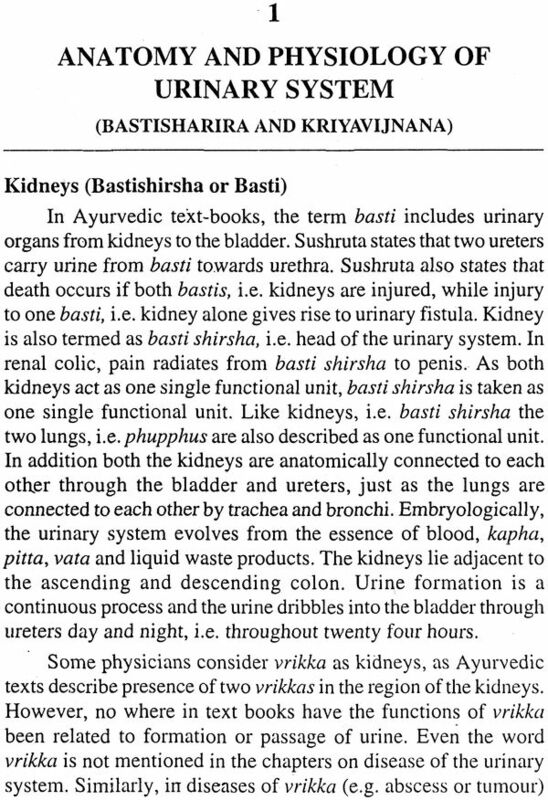 Kidney is one of the three vital organs in the body, other two being heart and brain. It is the most important -gan maintaining the homoeostatis by regulating the excretion the metabolites and waste products, i.e. 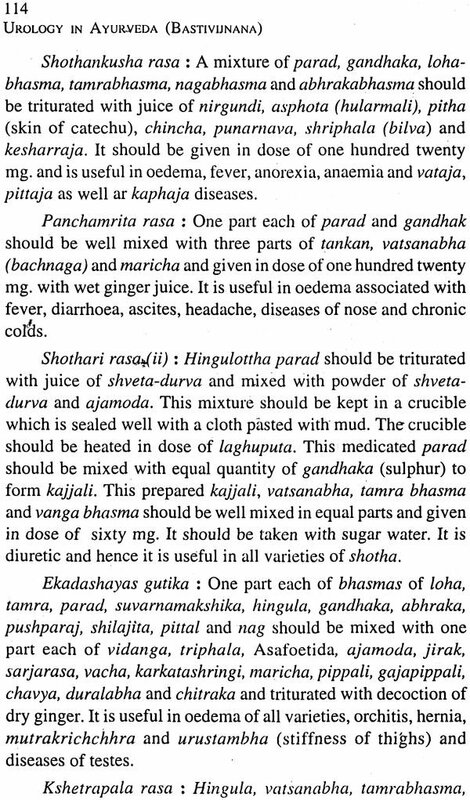 dosha, dhatu and mala. 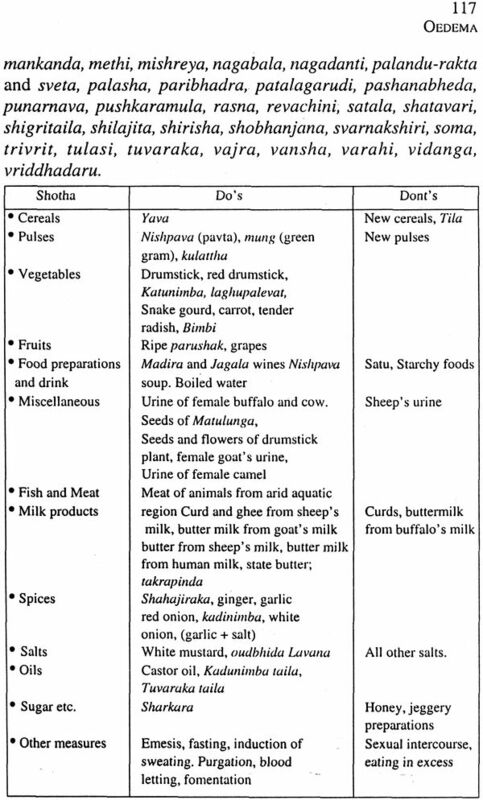 Vegavarodha, i.e. 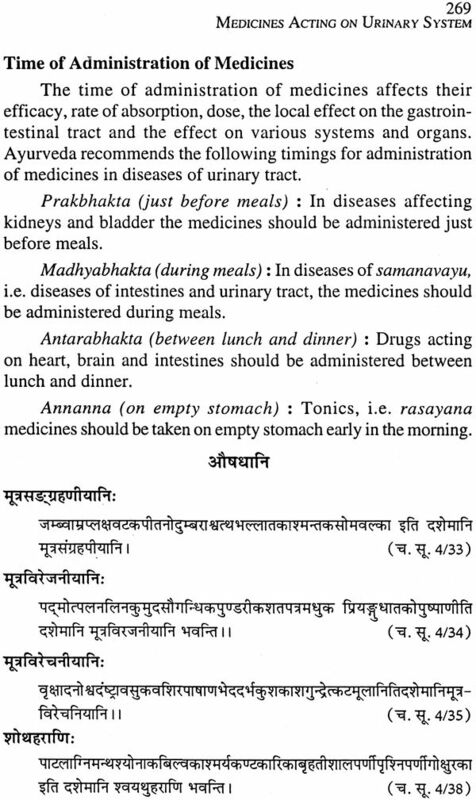 suppression of natural urges is an important cause of various diseases. 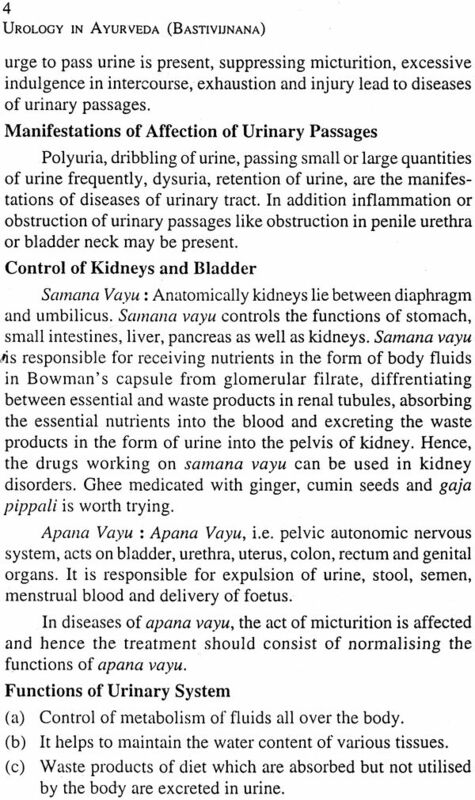 Ayurveda states that zppression of micturition is one of the most important cause of the diseases of urinary tract. With progressive urbanization and inadequate toilet facilities, this cause has assumed greater importance. 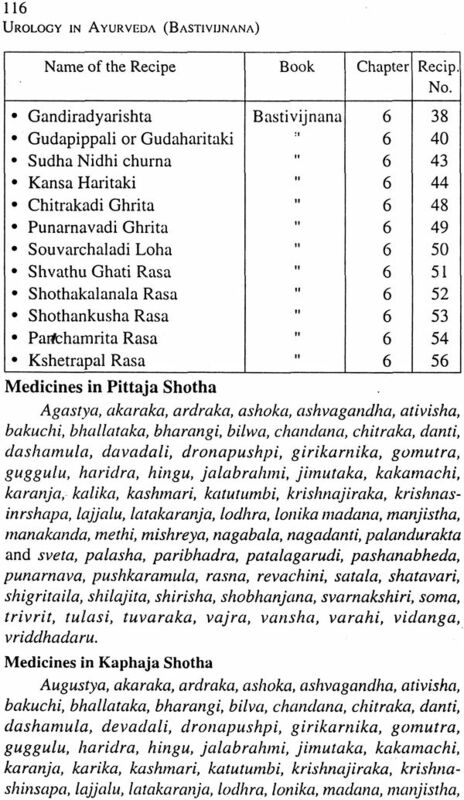 The classification of Ayurvedic diseases of the kidney is strikingly similar to the modern method, Thus acute nephritis, nephrotic syndrome, chronic nephritis and uraemia can be classified as pittaja, kaphaja, vataja and soon ipatika urinary disorders respectively. 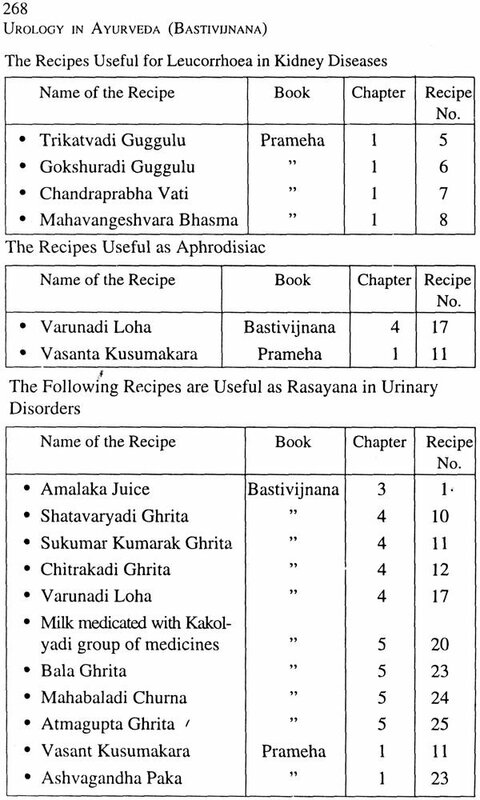 Surgical diseases have parallel names in Ayurvedic texts. 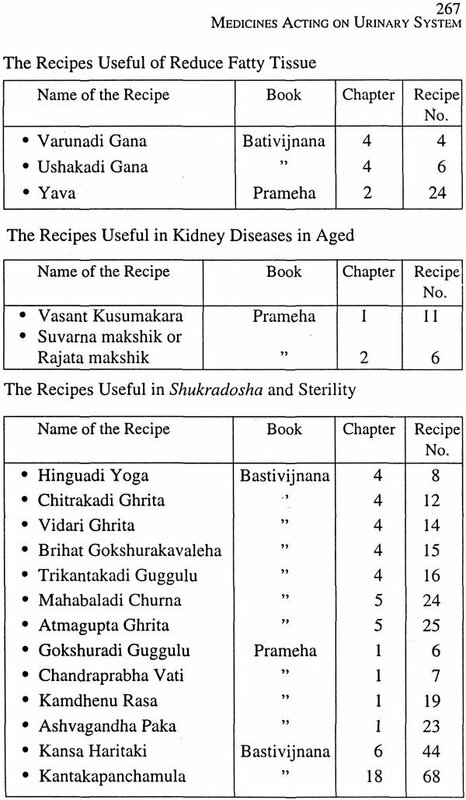 In this book, I have made a sincere effort to acquaint the reader with the wealth of knowledge available in Ayurvedic literature on the important subject of urology. 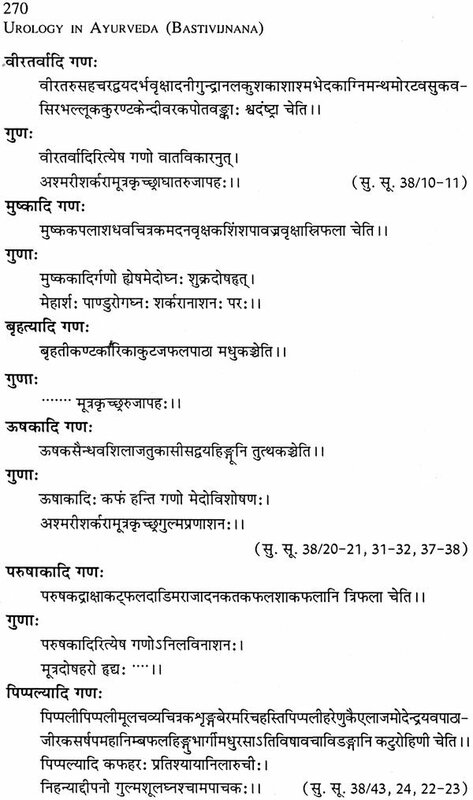 The literal meaning of the texts has been adhered to as far as possible and the basic concepts are presented in the original form. 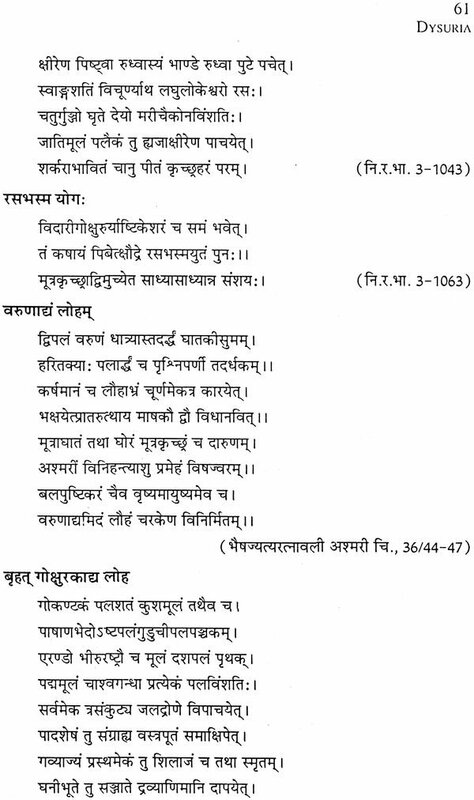 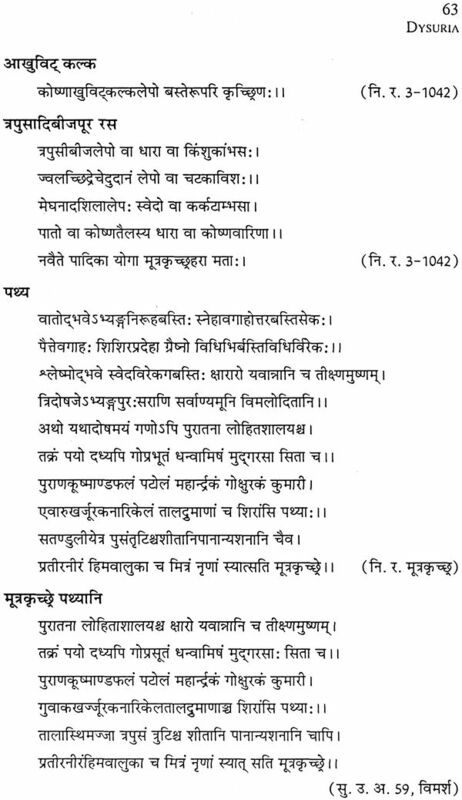 The relevant Sanskrit stanzas together with references are also given. 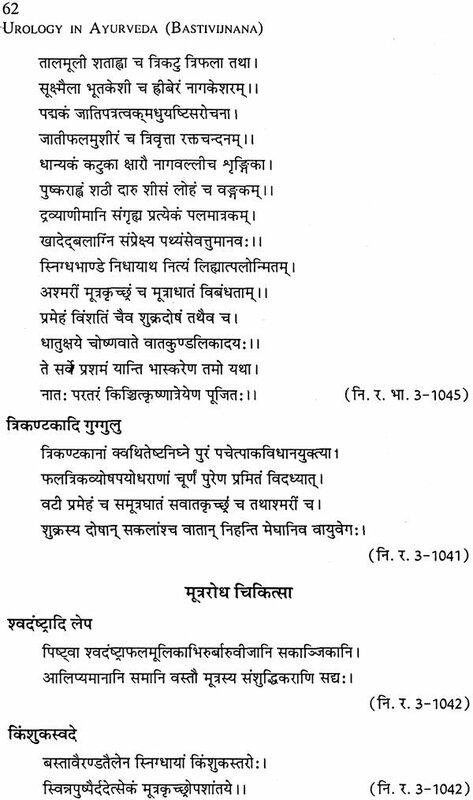 It is essential that the reader should understand the basic principles to appreciate the underlying scientific meaning. 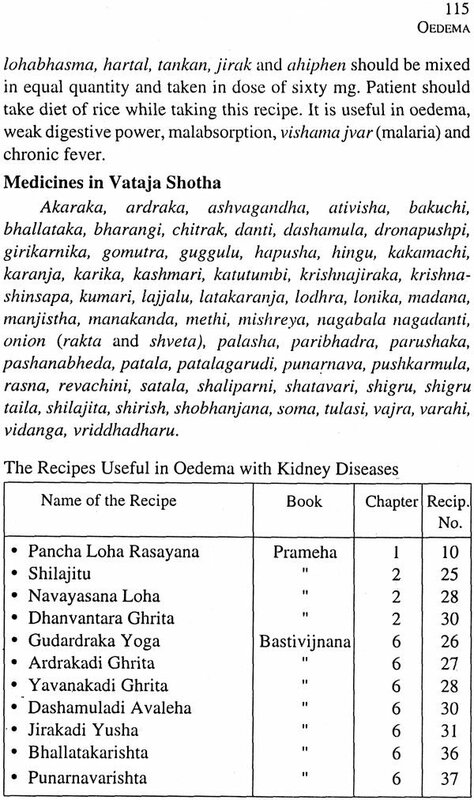 The reader may refer to the standard text books of Ayurveda or my book ‘Bala Veda—Paediatrics and Ayurveda’. 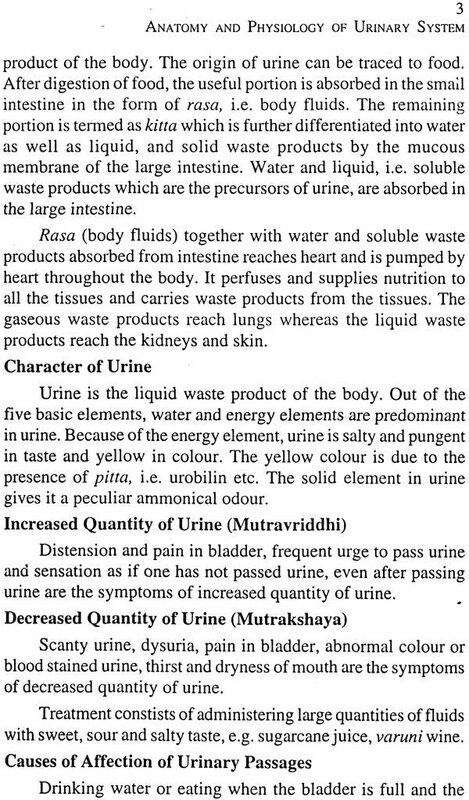 One can easily appreciate the wisdom of Ayurvedic physicians who have meticulously described the various urological conditions and their treatment. 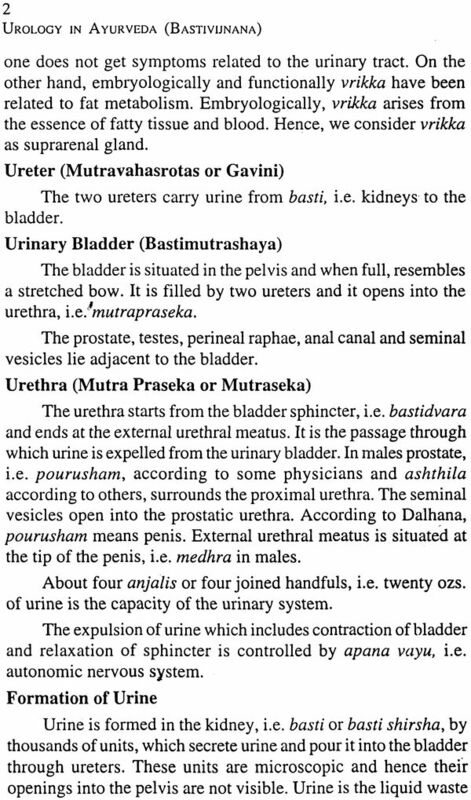 I am sure that this book will be useful to medical students, practitioners, teachers and research workers in understanding various urological diseases and their management in a better manner.